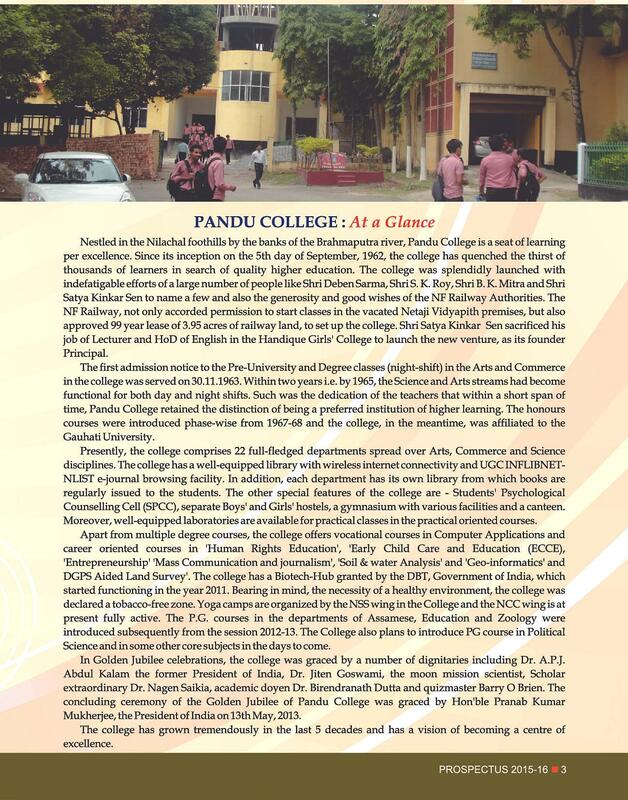 Inaugurated in 1962, Pandu College has been offering life-oriented education with the objective of purifying the mind of the students, strengthening their body and sharpening their intellect. The intention is to spread awareness among the students to cultivate the qualities that help them contribute actively to the nation. 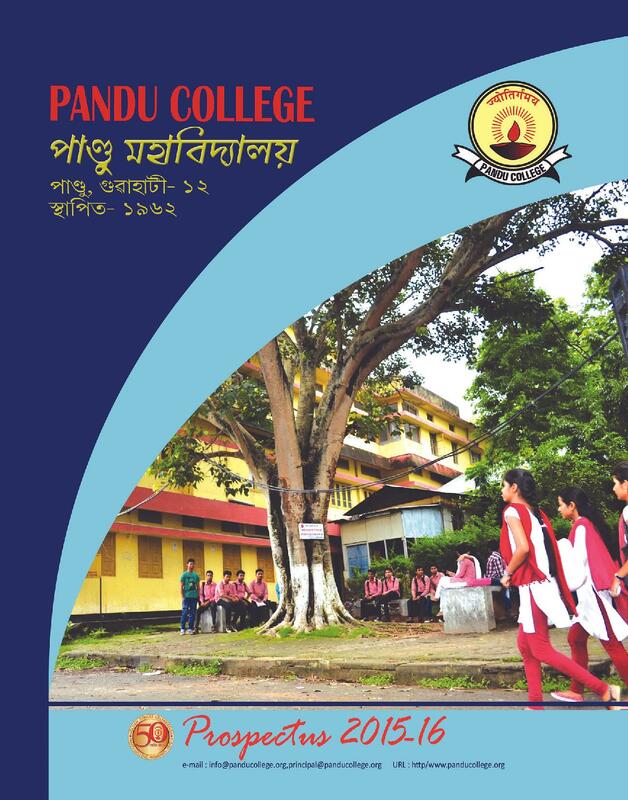 The main objective of the Pandu College, Nagaon, is to make students citizens of the world by grooming them in essential human qualities.Since its inception in the year 1962, 40 batches have passed out of the college. The college has divided the plans into short-term and long-term in order to achieve them in an organized manner. 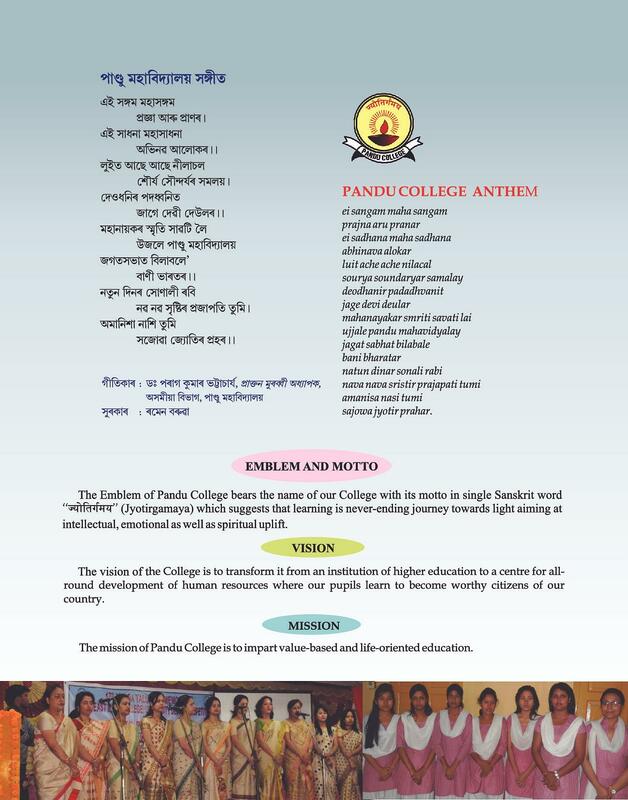 Why to join Pandu College, Nagaon, Assam? 1. Educated with social campaigns: The college holds seminars on several subjects, organizes workshop on drama, and conducts health check-up camps and blood donation awareness camp, carries out awareness programs and even helps physically challenged students among other activities. This will enable students gain confidence and values of helping the unprivileged and needy in all times. 2. Constructive planning:To enhance infrastructural facilitation, the college is planning to construct a well-equipped gym at the campus along with a guest house for the alumni. 3. Foundation for imbibing Values: Besides offering academic education, the college believes in grooming the overall personality of the students. Since its inception, the college has ensured to imbibe life-oriented skills to the students to prepare them for the world out there as a true citizen of the globe. 4. Modern day facilities –The college has remained active in building bigger and better infrastructure for the students by offering them all kinds of facilities for their convenience. Students find the ambiance of the college nurturing and motivating. The college is the perfect place to make a career. 5. 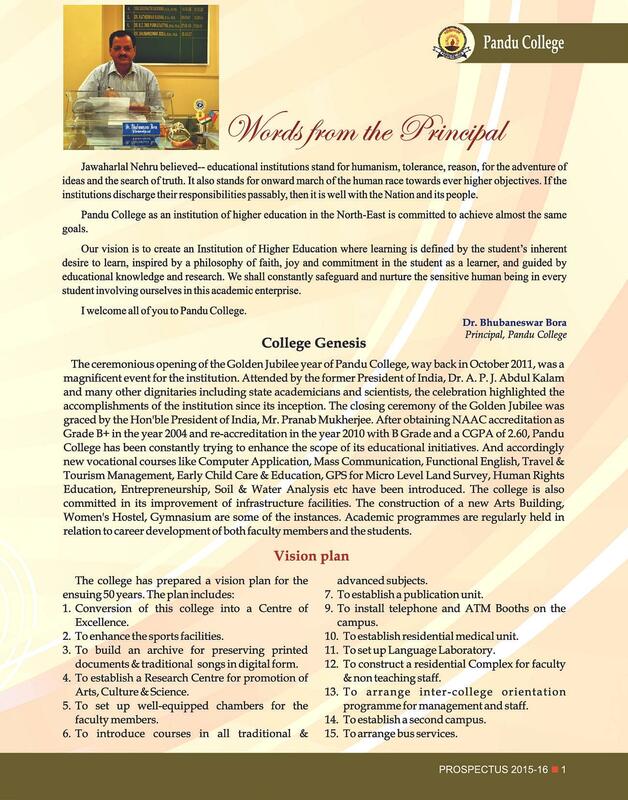 Encourage student development activities:Pandu College has built a good repute in Nagaon in Assam. By offering excellent facilities for academic and extra-curricular activities, the college ensures that students are groomed completely for the industry. The alumni of the college have been placed at premier companies across the country.